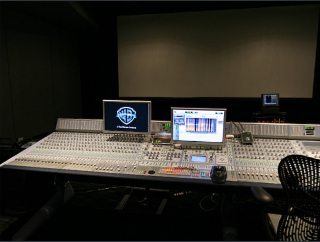 • The third Pro Tools system is used for picture playback and monitoring. It can also be used to develop stem mixes, printmasters and act as a traditional dub stage recorder. It is equipped with traditional, paddle controls for track arming.